What is the Benefits of Hair Transplant? Now a day’s hair loss is the very common problem. Whether you are a man or woman at some stage of your life you have faced hair loss issues. 85% of men suffer from hair loss (male pattern baldness issue) after the age of 35. Baldness can be seen in old age but in 25% of people, the signs of baldness start appearing in the early twenties. Now, baldness is not limited to the male, as per the statistics around 40% of a female is suffering from this pattern hair loss issue. Pattern hair can be genetic that is the reason 3% of children are facing a hair loss related issue. One of the most important reasons for pattern hair loss is heredity. We can say that most of the time pattern hair loss is genetic. One in seven men is having the gene responsible for pattern hair loss. Some people pull their hair out when they are in stress condition; this is known as trichotillomania. Hair loss can be the alarm of your some other major health issue like Thyroid disorder, Vitamin deficiency, Iron deficiency, PCOD etc. Hair loss is commonly seen after chemotherapy, post-surgical and after a long febrile illness like typhoid. Hair transplant is a procedure of moving individual hair follicle from back of the scalp or other body parts (donor site) to the bald area (recipient site). This treatment is majorly used to cure male pattern baldness. Who can go for the Hair Transplantation? If you are the one who is facing bald spots in the scalp where hair growth is completely stopped, The significant amount of hair loss, frequent thinning of the hairline, then hair transplantation is the best solution for you. Life Transformation: Baldness now only affects your look but also lower your confidence which ultimately affects your personal and professional life. That is why we can call hair transplantation a life transformation because this technique not only grow your hair and vanish the baldness but also give your confidence back and make you feel positive about yourself. Natural Process: In the hair transplantation surgeon moves hair follicle from the donor site to Recipient site. They do not use chemicals to grow hair or any other harmful techniques. It is a kind of natural process in which hair starts growing naturally. New and Natural Hair: The new hair which grows after hair transplantation, are completely natural. Their color, texture, feels same as your natural hair transplant results. Fast Results: Growth of new hair starts in 3 to 4 months only, and one can see a complete change in personality within 8 to 10 months of hair transplant result. Totally Safe Procedure: Hair transplant is a completely safe technique, there is nothing which can damage or harm your body. In this procedure, the surgeon does not use any chemical and t it is a very safe procedure. Easily Manageable Hairs: As this is a completely natural process, the new hair grows naturally. That is why we do not need any special shampoo or oil to manage new hair density. You can use hair colors, normal shampoo and oil to manage and style your hair. One time Process: It is a onetime process, after completing the hair transplant you need not visit the clinic again, unlike the techniques based on medicines and chemical, in which we need to use medicines again and again. Money Saving: As it is a onetime process we don’t have to spend our money again and again on doctor’s visits, medicines or any other procedure. Cost of hair transplant in India is a very effective procedure. Permanent Solution: Once you completed hair transplant treatment your transplanted hair will grow continuously and there will be no any issue with hair loss again. But the hair in the temporary zone needs care as they are prone to fall. In general, there is no disadvantage but if you are not having general good health you may face some issues. 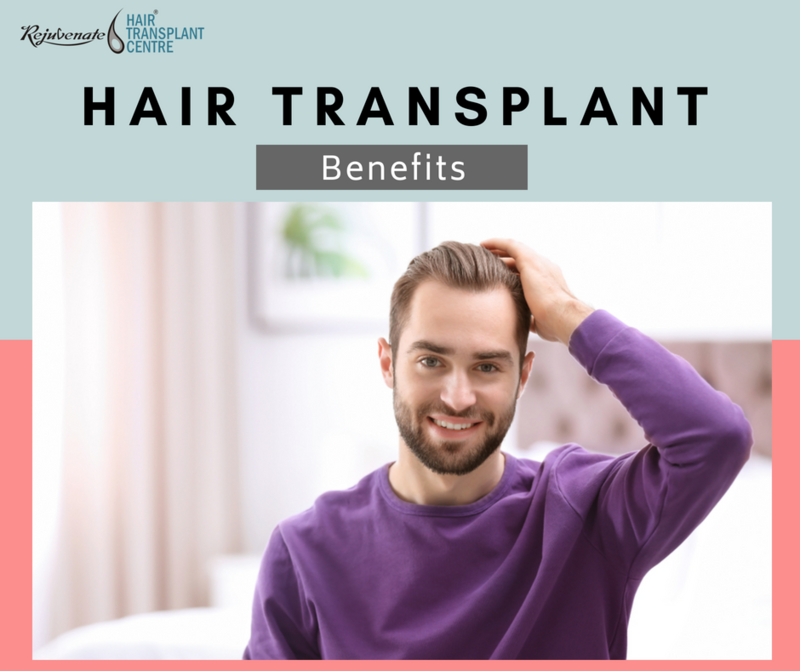 If you are in the age of 20 – 30 and wanted to perform this surgery you may need more sittings in future when you lost remaining non transplanted hair. The success rate of hair transplant surgery depends on the surgeon experience also the quality of the donor area plays a very important role.